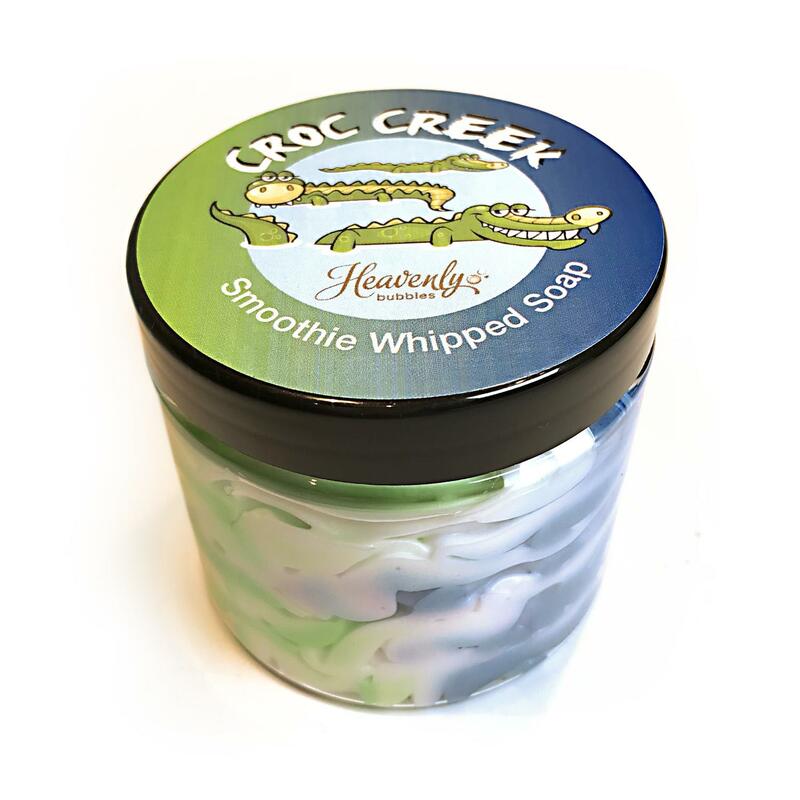 Make bath time fun with 'Croc Creek' smoothie whipped soap. This brightly coloured soap smells just like those fizzy refresher sweets that kids everywhere love! A little bit of this soap goes a long way. Just dip your sponge into the jar, add a little water and you will get a beautiful soapy lather to wash or shower with. stearic acid, tetrasodium edta, tetrasodium etidronate, fragrance oil, colouring. May contain limonene, linalol due to fragrance.